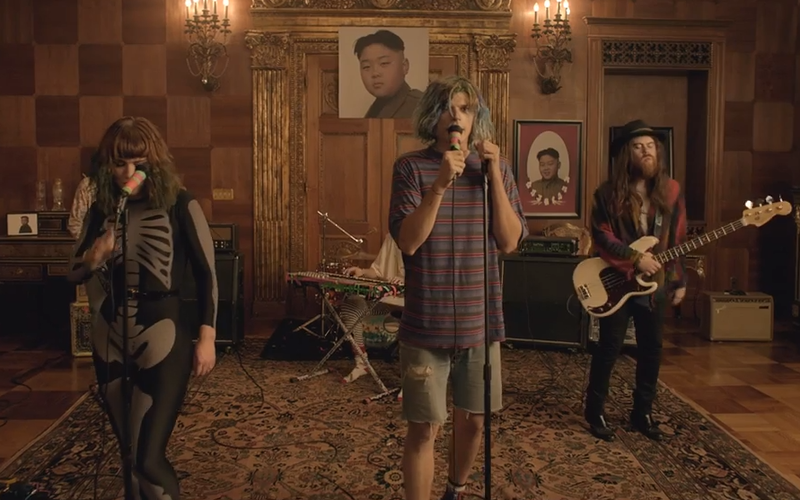 I’ll be the first to admit that I was extremely surprised by Grouplove’s immense commercial success over the last couple of years. Today, the LA-based band graces us with their first single from their sophomore album Spreading Rumors. The track, entitled “Ways To Go” offers a glimpse at a grand re-imagination of North Korea and leader Kim Jong-Un. It truly is a hilarious visual accompaniment to the catchy track. Watch it below and let us know what you think!